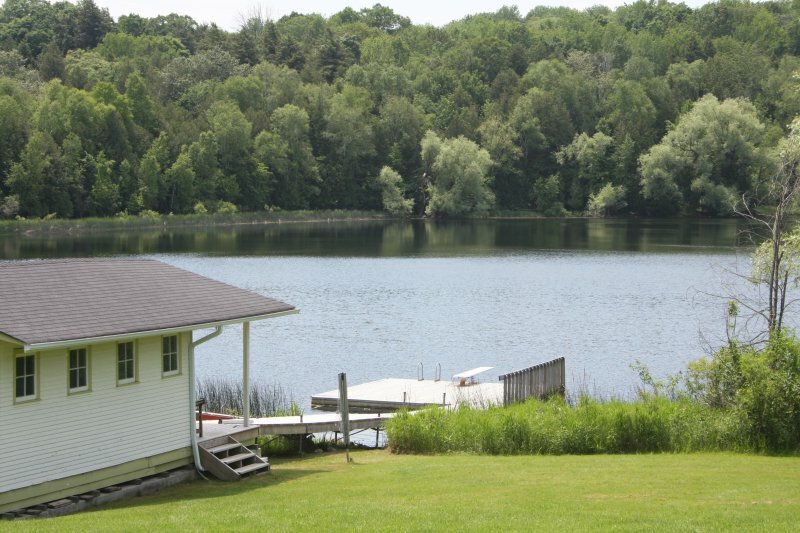 Just a 2 minute walk through the orchard behind the house is our private and pristine 16-acre kettle lake. The water feels like silk on your skin. 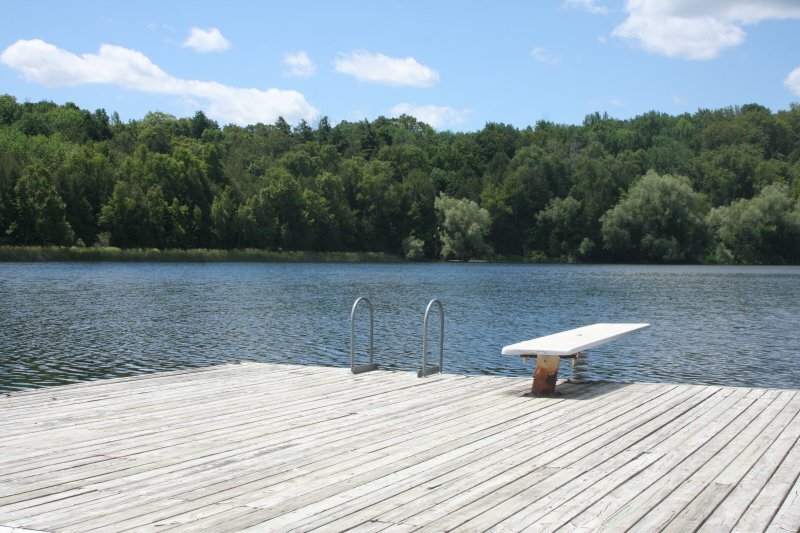 There’s a dock with a diving board and a well appointed boathouse/changehouse, so bring your swim suits and if you like your fishing pole and try for the legendary three-foot pike. Take the canoe around the lake at dusk or dawn, just for the peace and beauty of it. You will often be rewarded with a sighting of local wildlife. If you’d rather watch all the water sports from the sidelines, throw down a towel on the dock or the raft and catch a few rays, or sit in the shade of the covered veranda of the boathouse. In winter months, skate or snowshoe on the lake.